LBGT world social website - LBGT world chatroom! Members promise that they will present their true identities. When engaging other members, be honest about who you are, and don't mislead them. Members of the LBGT all have the same rights as each other to a safe and friendly environment, everyone (moderators) included. Your privacy is very important! Make sure that you stay safe by making sure that you do not share information and pictures with other people. Never give out or display your or other's personal contact information including your email address, IM contact or phone number, etc, unless of coarse you are doing it in private chat then it is ok! Remember, you are responsible for yourself and your safety! LBGT world website has a team of hosts/staff who are there to help you. They assist in the operation of the chatrooms and forums by helping members and keeping the room safe from trouble. 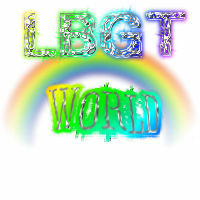 Members should always be able to be contact the LBGTworld staff. LBGT world operates under the law of the United states. All users must also obey/follow the local laws of their own state and country of residence. Raise your hand if you see something happen. If you see somebody in need of a hand, feel unsafe, or think that there is something a moderator should be aware of, always raise your hand and point it out. If you cant find a staff member available, please email us at lbgtstaff@gmail.com or message a moderators or administrators profile. You can also submit a report to us by emailing us at lbgtstaff@gmail.com or by clicking on a moderator *gold* or, and Administrator *red* by clicking on their profile when they appear in the chatroom.